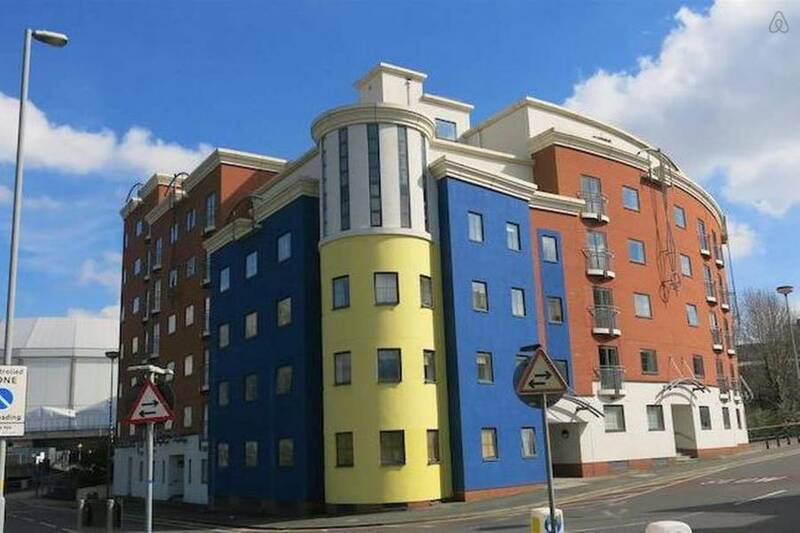 Lovely two bed self catering apartment in an amazing city centre location. Just off Broad Street, Birmingham’s dynamic entertainment destination, you are far enough away to get peace and quiet but close enough to walk to canalside bars, clubs and great restaurants. 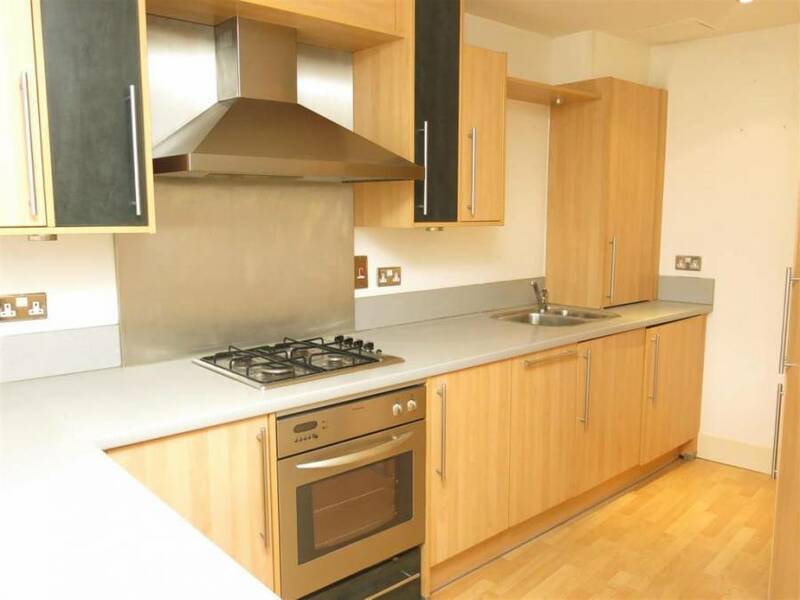 A modern build apartment with large living room, dining area and two double bedrooms. Apartment accommodates 4 people in the two double bedrooms but it is possible to accommodate a further 2 people on an inflatable mattress, which we can provide free of charge. Please let me know when you book how many will be staying. 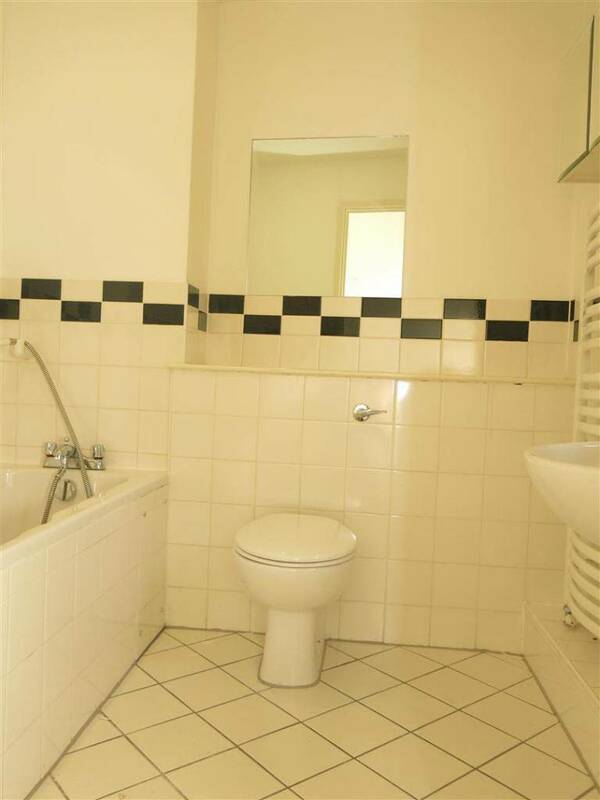 Free Wifi and fully fitted kitchen with washing machine, 2 fridges, microwave, toaster etc; 2 bathrooms. Bath has shower attachment. 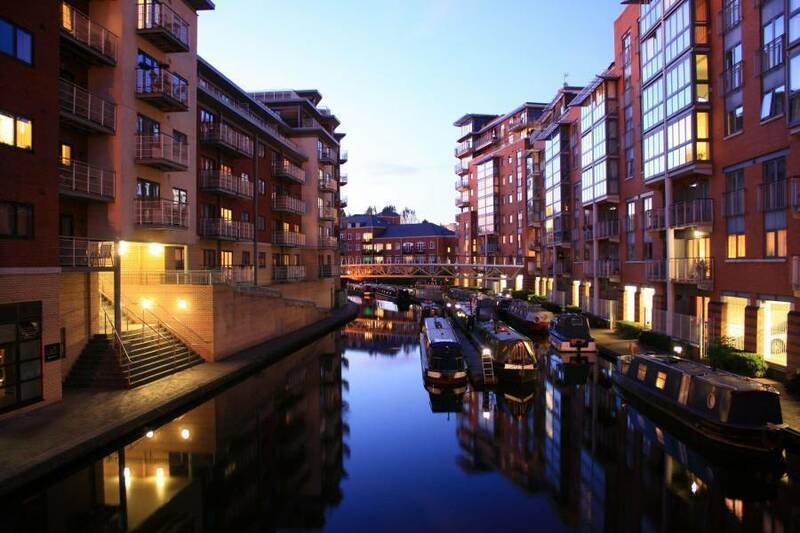 We are just a 7 minutes walk from Brindleyplace, Birmingham’s premier business and leisure centre, where there is a wide selection of restaurants, cafés and shops. Centenary Square is on the north side of Broad Street and is used for many of the city’s main cultural events including the Frankfurt Christmas Market, Arts Festivals, Remembrance Day Services, New Year’s Celebrations and during Christmas hosts a temporary ice rink and Ferris Wheel. Birmingham is a shopper’s paradise. From Harvey Nichols to Selfridges, historic markets to the Jewellery quarter you will find everything you want here. There are theatres and comedy clubs, stylish bars, great cafes and the hottest nightspots. Plus plenty of attractions to keep you busy during the day. From South: Drive from M5 to Halesowen. Follow A456 to St Vincent Street in Birmingham. At the roundabout take the 3rd exit to Quinton Expressway/A456. Continue to follow A456, go through 2 roundabouts. Take a slight right onto Hagley Road / A456. Continue to follow A456. Turn left onto Sheepcote Street. Go through 1 roundabout. Sheepcote Street turns slightly right and turns into St Vincent Street the apartment building is on your right. From North: Follow M^ to West Bromwich. Take 1st exit from M5. A4252, A457, B4135 and A457 to St Vincent St in Birmingham. At the roundabout, take the 2nd exit onto Kenrick Way/A4252. Continue on A4252 go through 1 roundabout. At the roundabout, take the 1st exit onto Tollhouse Way/A457. Slight left to stay on Tollhouse Way/A457. At the roundabout, take the 1st exit onto Cranford St/B4135. Slight left onto Dudley Rd/A457. Go through 1 roundabout. Turn right onto Summer Hill St. At the roundabout, take the 3rd exit onto St Vincent St, apartment is on your left.